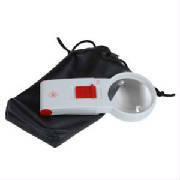 1-1/2" lens that is LED lighted for brilliant light. Power and Reading Distance: The higher the power of the reading magnifying glass the shorter the focal range (reading distance) and the smaller the field of view. 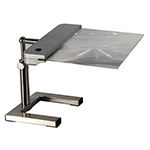 Choose a reading magnifier that will satisfactorily enhance your viewing at a comfortable reading distance. 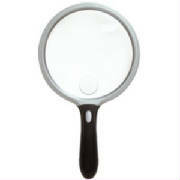 The high power magnifying glass may not be the best magnifier for you as you may be to close for comfortable reading. Most people are comfortable with a reading distance of 10 to 12 inches. For best reading magnifying glass results wear your glasses. Do I need a reading magnifying glass with light? 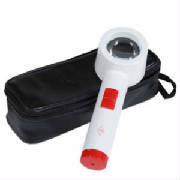 A magnifier for reading with light will provide better magnification results as they provide a sharper and clearer image and more contrast then a non-lighted magnifier. Our magnifying glass for reading with light models are led or fluorescent lighted that provide a soft white light to ease eyestrain. 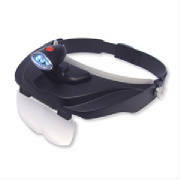 SEE OUR LIGHTED MAGNIFIER SELECTION. 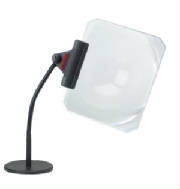 See Our Blog "Choosing A Magnifying Glass For Reading"
Dome Magnifiers For Reading Books. 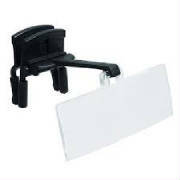 Self focusing dome reading magnifiers that lays flat on the page -Just glide. 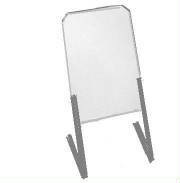 Fresnel acrylic lens for large area viewing. 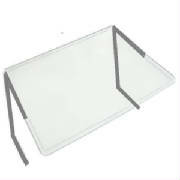 4X Magnifier For Reading Lens-6.5"
Lens is a first quality acrylic Fresnel lens that has crystal clear optics. 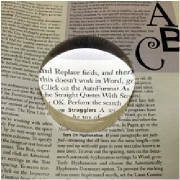 Lens size: 7" x 10"
Available in 6 Powers-Made in U.S.A.
Strong reading magnifying glass for books and small print. Excellent reading magnifying glass for visually impaired. The thinnest and lightest and molded for accuracy. 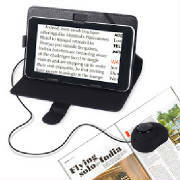 Portable video reading magnifier with large 7 inch LCD screen. 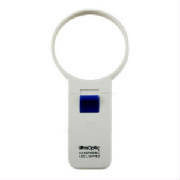 Due to the compact size, you can carry the magnifier anywhere. 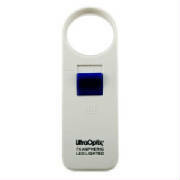 Transforms your television into a low vision magnifier aid! 3.5 inch screen and no distortion.Use with hand or stand. 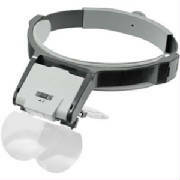 3 magnifier lens pates included-1.75X, 2.25X, 2.75x. Tilts when magnification is not needed. Reading Magnifying Glass -Head Visor.